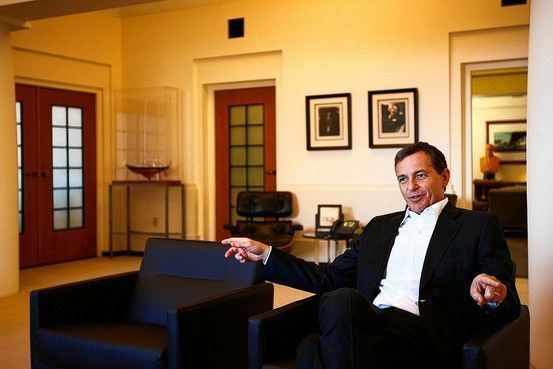 Disney’s Bob Iger says California Adventure was doing “something mediocre” with Disney brand and explains plans to fix park, as well as other things the company is up to. Take a look. Mr. Iger: [Apple CEO] Steve Jobs is fond of talking about brand deposits and brand withdrawals. Any time you do something mediocre with your brand, that’s a withdrawal. California Adventure was a brand withdrawal. We debated, “Should we make it one park?” Raise the price at Disneyland, and suddenly one ticket buys you the whole thing. I even had Imagineers design that. [But] we would have had to put in transportation systems. It would have cost us so much money to put the monorail in. And to do other things to create one park. That didn’t make sense. We all concluded that the only way we would improve returns on that park is if we made it better and we made it bigger. And we decided to put what is now [around] $1 billion into that.